Contact me for a free 30 minute dream consultation! Are you curious about this work? Do you have a rich inner life? Is there a particular dream that you’re wondering about? Let’s talk! Consultations are available either in person in Santa Cruz or by phone or Skpye. From the roots of dreaming in ancient communities to recognizing the voice of God in our own lives, Rev Deb was a model of embodying the living dream. Would you like to work your dreams in a safe, intimate and low cost group container? 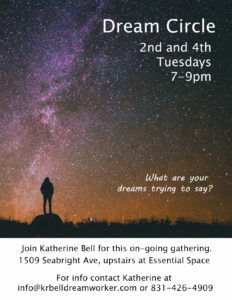 I am hosting an on-going Dream Circle with a heartfelt approach to integrating your dream messages. Please join us! 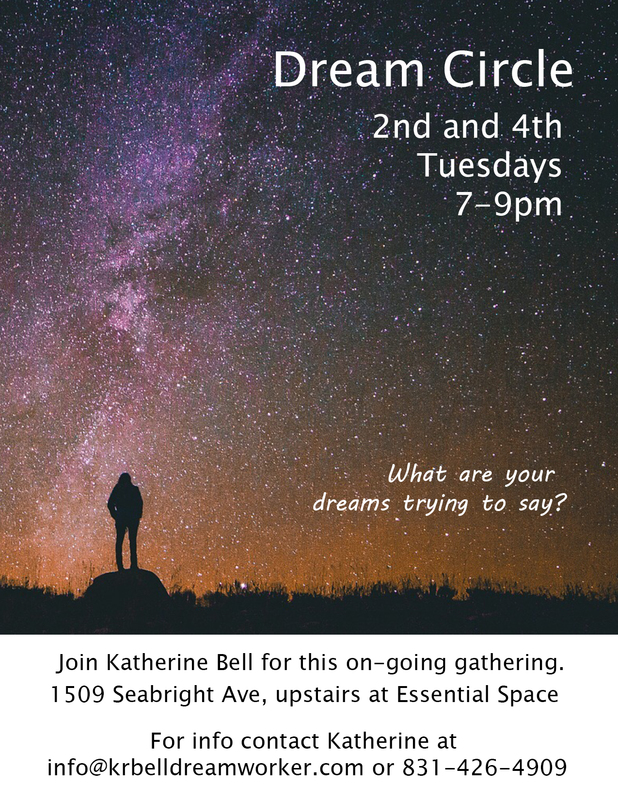 We meet from 7-9pm on Seabright Ave in Santa Cruz second and fourth Tuesdays. There is no fee for your first dream circle! After that, cost is $20 per session or $60 for four sessions paid in advance. Contact me to register. I am looking to start up another Dream Circle in the Boulder Creek area probably after the first of the year; contact me if you are interested!